Pomegranate is a tree that produces a fruit by the same name. The brightly colored seeds from that fruit are frequently eaten raw or are prepared in many dishes. That said, the fruit and various parts of the tree are commonly used for medicinal purposes, including in the treatment of obesity. While this ingredient may be listed under the name “pomegranate,” there are also a large number of other names under which this substance can be known. Pay attention to supplement labels for terms such as: dadim, extrait de feuille de grenade, anardana, extrait de polyphenol de grenade, dadima, fruit of the dead, grenade, PLE, PE, pomegranate extract, Granada, fruit of the grenadier, and fleur de grenade, among others. Despite the recent use in weight loss pills, this substance is used for the treatment of a broad spectrum of different conditions. That said, by the time of the writing of this review, there was inadequate scientific evidence to support the use of the pomegranate for the treatment of any medical conditions. While it does look as though using this substance is not helpful in reducing chronic obstructive pulmonary disease (COPD) symptoms according to recent studies and despite the fact that it is often used for that reason. Research is also suggesting that it does not improve breathing among people who have COPD. Other common purposes for which pomegranate is used include heart and blood vessel conditions, high blood pressure, heart attack, congestive heart failure, high cholesterol and atherosclerosis. Many people will take it when they are experiencing symptoms of dysentery, tapeworm and other intestinal parasites, diarrhea, flue, mouth and gum swelling and disease, erectile dysfunction, and diabetes. 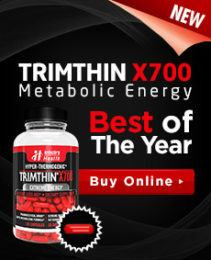 It has become a very common ingredient in efforts to combat obesity and promote weight loss. That said, at this time there is inadequate evidence to conclusively state that it will produce direct weight loss results. Early research has indicated that combining pomegranate seed oil with brown marine algae within the Xanthigen formula may help to reduce weight among women who are obese and suffering from liver disease. However, that research is still considered to be preliminary and is far from conclusive. Still, in most forms, regardless of whether or not it turns out to be helpful with weight loss, it is considered to be quite safe. Drinking its juice orally is quite safe provided that no allergy exists. 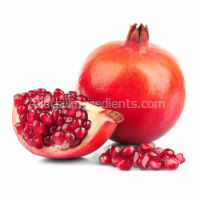 Pomegranate extract is also typically considered to be safe when taken orally or topically on the skin. That said, side effects have occurred including swelling, itching, runny nose and difficulty breathing.